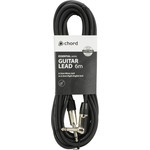 A fully shielded guitar, instrument and audio lead for unbalanced signals. 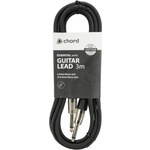 Made with a soft-grip, anti-tangle, rubberised jacket; machine-soldered connections; and professional, die-cast, 6.3mm mono jack plugs. 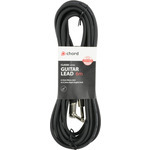 A fully shielded guitar, instrument and audio lead for unbalanced signals. 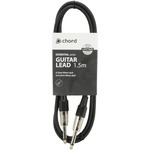 Made with a soft-grip, anti-tangle, rubberised jacket; machine-soldered connections; and professional, die-cast straight and right-angled 6.3mm mono jack plugs. 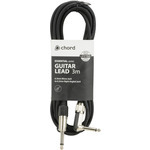 A high quality, fully shielded guitar, instrument and audio lead for unbalanced signals, offering exceptional sound and reliability. Made with pure copper conductors and cotton-reinforcement; a soft-grip, anti-tangle, rubberised jacket; machine-soldered connections; and professional, die-cast, 6.3mm mono jack plugs. 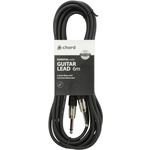 A high quality, fully shielded guitar, instrument and audio lead for unbalanced signals, offering exceptional sound and reliability. 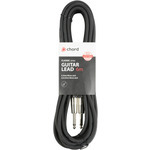 Made with pure copper conductors and cotton-reinforcement; a soft-grip, anti-tangle, rubberised jacket; machine-soldered connections; and professional, die-cast, straight and right-angled 6.3mm mono jack plugs.